Please ensure that your children arrive at school on time. Pupils should be waiting outside their classrooms ready for their teachers at 8.55am. Parents are asked to be punctual when collecting their children in the afternoon. Please ensure that your child is collected from school promptly at 3.15pm. In the case of an emergency please ring the school office .Should we not be able to contact you we have no choice but to contact Children’s Services who will come and collect your child. In the event of any difficulties please telephone or let us know. Our contact number is 020 8829 1100. During our assemblies we reflect on moral and spiritual issues, we celebrate achievement and we give thanks. Children may be withdrawn from assembly on religious grounds. Parents should contact the Head teacher if this is necessary. During each term classes take turns to put on a small production usually based on current work and lasting approximately 15 minutes. You will be invited to your child’s class assembly. This should be sent in a suitable container that is clearly named. Please do not send sweets, chocolate, crisps, cans, flasks, glass bottles or fizzy drinks. School dinners are free of charge for all pupils. Children going home need to be collected and returned to school on time. 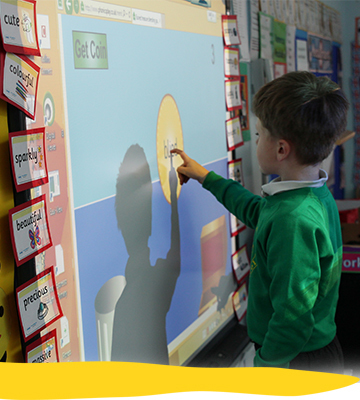 Pupils grow in confidence during their time at the school, have high self-esteem and are very excited about learning.